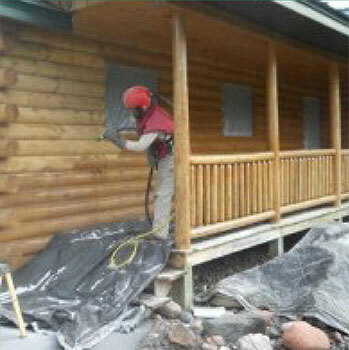 Proper maintenance of log homes or wood siding requires refinishing and sealing generally every 5 to 7 years. Whether you are searching for a colored stain or a transparent wood finish, our experienced crew are available to refinish your log or wood sided home. We have the equipment to do the job right!